Metropolitan Museum of Manila's first benefit exhibition. 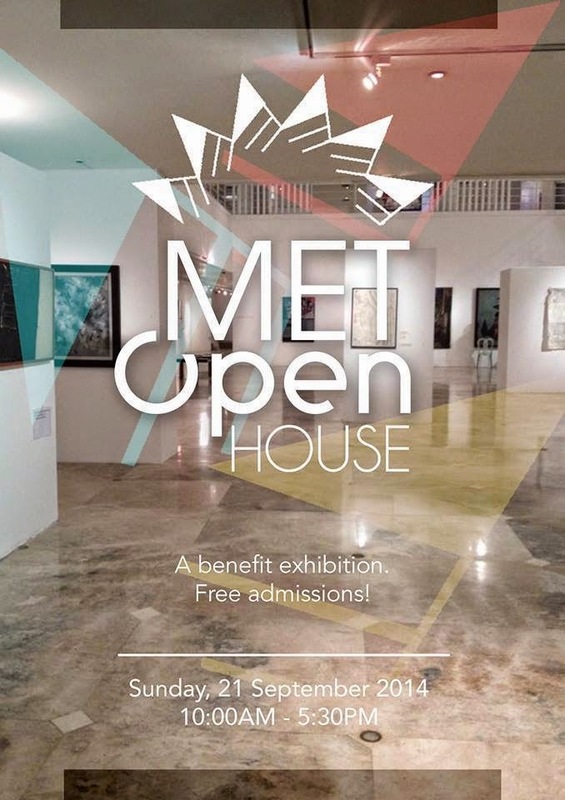 The Metropolitan Museum of Manila is opening its doors on September 21, 2104 (Sunday) for the MET Open 2014 Open House for collectors, artists and art enthusiasts. This fund raising activity is in support of the MET's exhibition and education programs for 2014 till 2015. The exhibition will be from September 22-Oct. 4, 2014. Proceeds from the sale and a special auction shall benefit the exhibition and educational programs of the Museum.